Happy Friday! 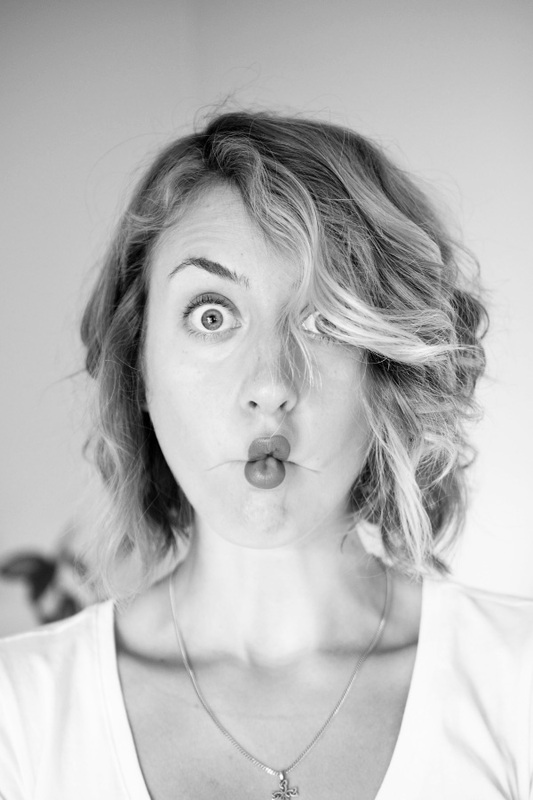 I’m one of those people that could easily (so easily!) eat a sweet potato a day. Baked fries with mashed avo and my quick date-sweetened ketchup, whipped up in the Vitamix with some cinnamon, spiralized, etc. So much goodness, but this dish… The recipe came about from some experimenting in the kitchen with my Mom a little over a year ago. Best part of this dish = the smoky, just enough heat, but tangy and sweet complex, caramelized goodness. 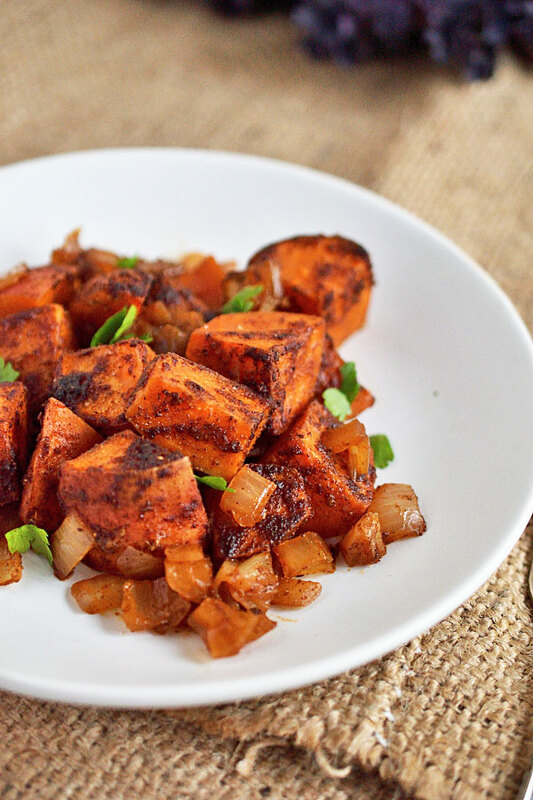 The sweet potato and onions get caramelized and slightly crusted in the spices. So delicious. It’s like the perfect storm of all these different flavors coming together and creating this beautifully complex and rich dish. 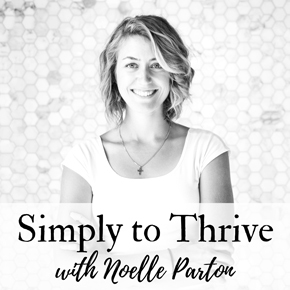 I love pairing with something simple like some sort of greens and veggies, and some lightly seasoned beans or lentils. The sweet potatoes can be cut into larger pieces, just be aware that this may take longer to bake. They can be cut smaller, however, I have found that keeping them at least an inch keeps them really creamy on the inside. You want enough spices added so the oil starts to thicken and become like a paste. 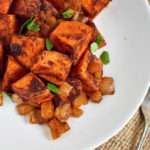 The best part is having that coating of spices on the sweet potatoes and onion that caramelizes, so use enough to have a good coat after rubbing. If you rub the oil/spice mixture on the potatoes/onion and there’s not really a layer of spice, add more cumin and/or chili powder. Choose cumin if you want more of a mild heat; chili powder if you like a kick. If you really love lime and want even more of that tartness, use more lime juice and less water. A sweet and creamy potato surrounded by smoky, tangy caramelization. 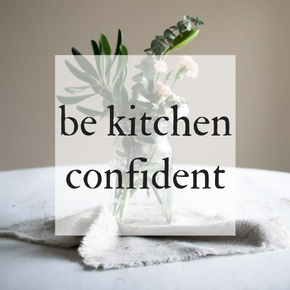 Serve with something simple such as kale salad and beans, or in a nourish bowl. Preheat the oven to 400°F. 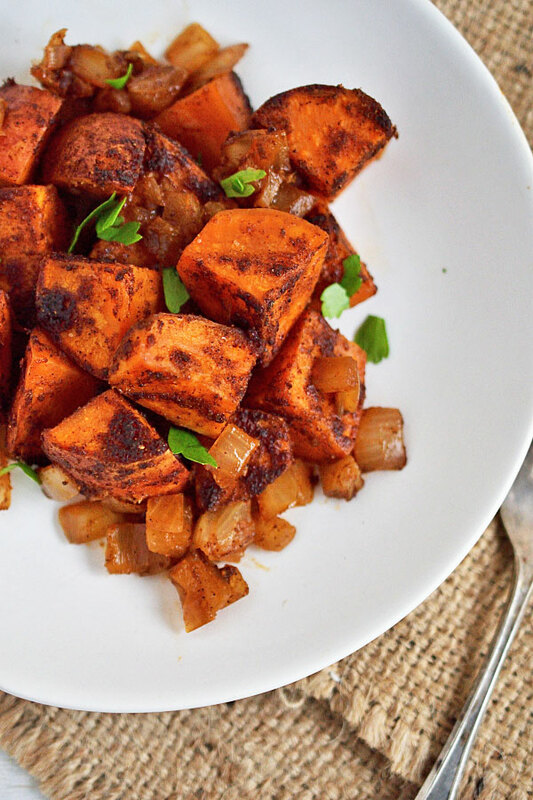 Place sweet potato and onion in your baking dish. You want enough to cover the dish in a single layer of potatoes. For several servings, I use about 2-3 medium potatoes. Mix together equal amounts cumin and chili powder with a heavy sprinkle of salt. Add to the coconut oil, using enough oil to evenly coat all of the sweet potato and onion. 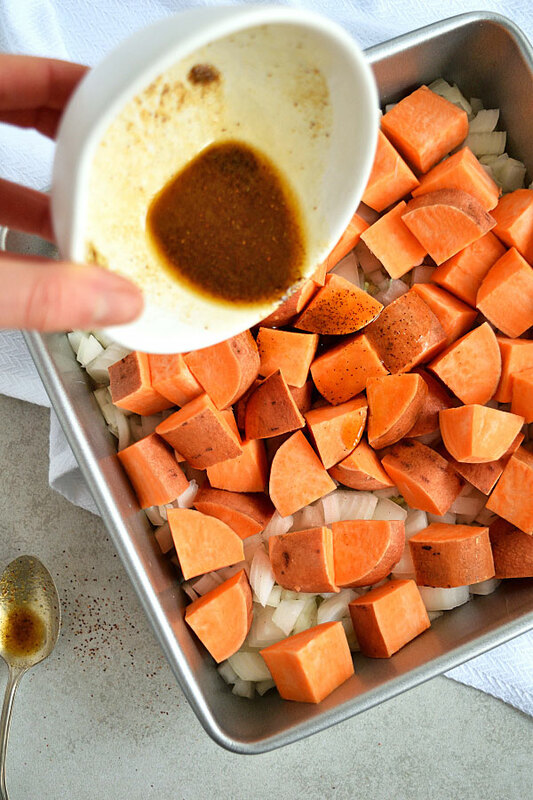 If needing a starting reference, for 2-3 medium sweet potatoes and 1 onion, start with about 1 tablespoon oil and 1 teaspoon cumin and chili powder each. Add more of the cumin and chili powder until the oil starts to become a paste. Rub the sweet potato and onion mixture with this paste until there is an even coating and a thicker layer of spices. Move the potatoes around until they lay in a single layer and move the onions around until they lay in between the potatoes. In a separate bowl add the lime juice and roughly 1/2 the amount of juice in water; it should be about a 2:1 ratio of lime to water. Try starting with 2-3 juicy limes. The juice/water mixture should still be tart, not diluted too much with water, but the water simply helps the juice go farther, so taste before pouring in the dish to ensure it still has that lime zip. Pour in the baking dish. You want enough liquid to evenly cover the bottom of your dish with about 1/4 inch of liquid. If you don't have enough, add a bit more lime, water, or both. Cover with parchment or tin foil and bake for 30 minutes, or until fork tender. Remove the cover and place back in the oven for about 20 minutes, or until caramelized. Serve hot, garnished with chopped cilantro if desired.